Monday I explained how to clean and maintain your dishwasher. Today I'm going to go over how to clean my next favourite household appliance - the washing machine. Extremely helpful information! I never checked my washing machine if has a cleaning program. I always clean it by myself with natural products. However it takes time and I don't have that much. 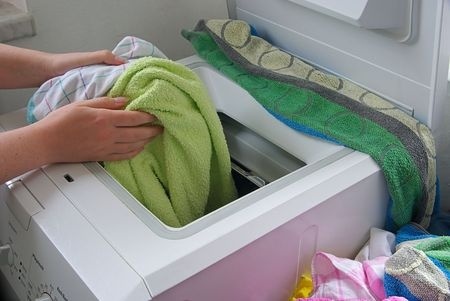 I add white vinegar to the fabric softener cup in my top loader every time I wash and I don't get that gunky build up. I never use commercial fabric softener.